Today’s news review looks at Key Stage 2 marking guidance. 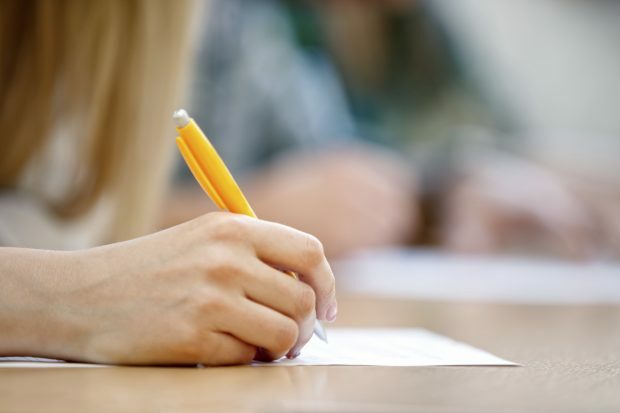 There has been online discussion of marking guidance for the Key Stage 2 spelling and grammar tests taken earlier this year. Several teachers have tweeted issues around the consistency of marking a particular question in which pupils were asked to correctly place a semi-colon in a sentence. This story has been covered widely including by The Telegraph, Mirror, BBC Online, The Independent, Huffington Post, Mail Online, and Metro. Markers are trained to apply the mark scheme and checks on quality are made throughout the marking and review period. Markers are encouraged to have a positive approach to the process and ensure no child is unfairly penalised. The Standards and Testing Agency reviews the process and materials annually with our external marking supplier Pearson. Any school that feels the mark scheme has been applied incorrectly can submit pupils’ scripts for review. The deadline for this is Friday, 14 July. The key stage 2 tests assess the delivery of our new primary curriculum that ensures children are mastering the basics of literacy and numeracy. Markers are given additional guidance to ensure the published mark schemes are applied consistently and fairly, in this case to ensure children are using and forming punctuation correctly. Should any school feel mark schemes have been applied inconsistently or incorrectly they can submit pupils' scripts for review. Reviews are carried out by experienced supervisory markers who use their judgement to ensure no child is unfairly penalised.